At our school, we have worked really hard over the past number of years to obtain the status of an ecoschool. We have focussed on energy conservation and the minimization of waste. Through the help of our dedicated EcoTeam, we have established an EcoSchools action plan and helped to raise awareness through environmental education. Yet, one of the things I find we struggle with most is litterless lunches. I often see so many children's lunches that contain items that end up in the garbage. In honour of Earth Month, Funkins is encouraging parents and their children to be litter free while bringing fun and colourful designs to your kids' lunches. One of the first things I would suggest before making a Bento lunch is to find a lunch box that the kids will love. I find my kids love bright colours and containers that are easy to open. Or you can simply use a variety of reusable plastic containers you already have in your cupboard. Don't forget to label every item with your child's name to make sure they make their way home each day. My kids are notorious for leaving odds and ends at school. Once your food containers are ready to go, it's time to start thinking about packing a litter-free lunch. Aim for four. This is a concept I teach my students about healthy eating. Our goal is to include foods from all four good groups, as per Canada's Food Guide, in every meal. Three groups is good, too, but four is better. Eat a rainbow. Given that children should consume anywhere from 4 to 6 servings of fruits and vegetables per day depending on their age, I like to encourage the idea of eating as many different colours as possible. Different coloured fruits and vegetables contain different kinds of vitamins and nutrients so it's important to offer a variety. 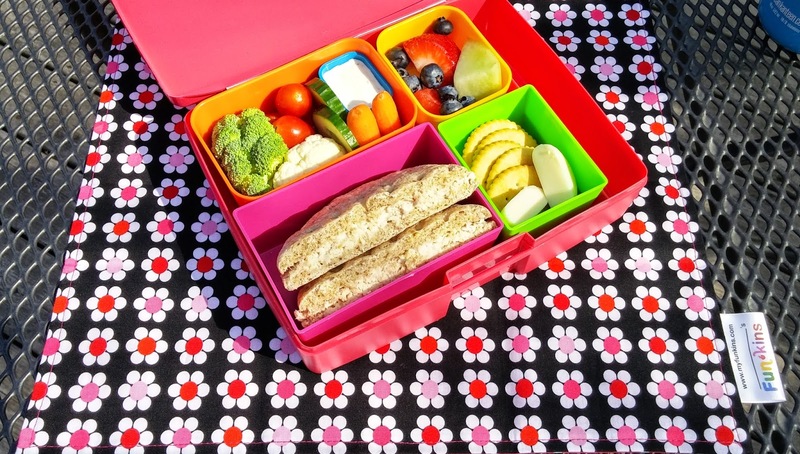 Plus, it makes lunches colourful and fun. Our Bento boxes are great because they have two containers with lids; one for fruits and one for vegetables. Go litter-free. Many of us lead busy lives so sometimes we don't stop to think about how we can reduce litter in our lunches. Pre-packaged foods are often a go-to when packing lunch on the run but can contribute to unnecessary waste. Instead, buy items you can find in bulk such as fresh produce. Of course, if time is of the essence, consider family-size fruit trays. I won't judge. They have come in handy many a time in our home and luckily the trays are accepted in our recycling program. And since our Bento boxes have a small container we use for dips or salad dressing, we can avoid purchasing single-serve packages. Finally, there is a compartment on the side for reusable utensils and/or napkins. It's a perfect fit for our new Funkins, a high-quality washable cloth napkin for kids designed to help reduce mealtime waste. Think kid-friendly. Offering a variety of bite-sized foods makes lunches more appealing. And even adult-friendly, too! Have you ever noticed how eating apples and oranges can be more enjoyable when they're already sliced up? Plan ahead. I may not have yet mastered the art of pre-planning our dinner meals but thinking ahead in terms of planning lunches for my kids has always been a priority. I want to make sure that my kids have healthy lunches that will sustain them throughout the day so they can focus on learning. I typically prepare lunches in the morning but I always run through a mental checklist of what I need the night before. Involve the kids. By including my kids in the meal prep, it's pretty much a guarantee they will enjoy their lunches. It also helps them to build useful skills that will come in handy later on in life. 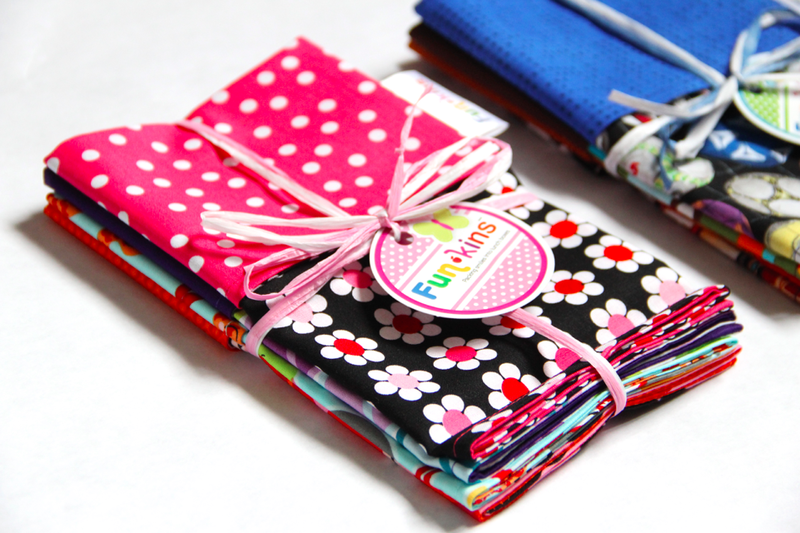 If you'd like to try Funkins, you can find so many fabulously fun and trendy designs on myfunkins.com, including sports themes, floral designs, animal patterns and more. 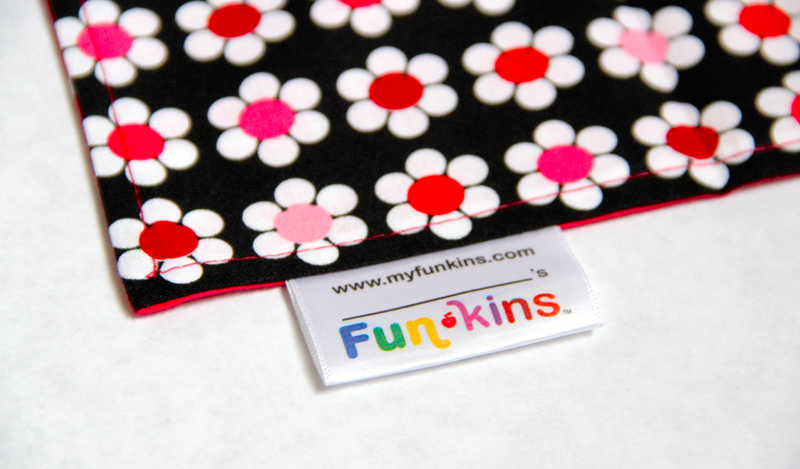 Each 15" by 13" Funkins napkin is 100% cotton and is double-sided to make them twice as fun. They cost $10 each and are free of lead and phthalates. They each include a little tag where you can you write your child's name and they also make great placemats, too! Disclosure: I am taking part in the Funkins blog campaign. While I have received compensation as part of my affiliation with this program, the opinions shared are my own. Yes! I love how they have so many fun styles to choose from. I agree! I'm thinking they would be perfect in lieu of gift bags at birthday parties. It sure is! For adults, too! Same here! So many to choose from. And I love that they are double-sided, too. Yes! They're never too young to learn good habits regarding waste reduction. That was my son's favourite! We have those, too! Perfect for snacks or sandwiches. Awesome! Hope he likes it just as much as we do. These look great for school lunches! (and more) Thanks so much! Yes! I'm thinking they will be absolutely perfect for picnics at the park. Diane, Thank you SO much for your amazing efforts with helping your school gain status in being more environmentally conscious. Your post so clearly defines what it takes to pack a litter-less lunch, and we applaud your step-by-step how to for achieving this concept. Meal planning can indeed be a little tricky sometimes, and we appreciate you noting that sometimes just purchasing pre-cut fruit/veggie tray and recycling the plastic, may help a busy family still be able to keep their lunch nutritious. 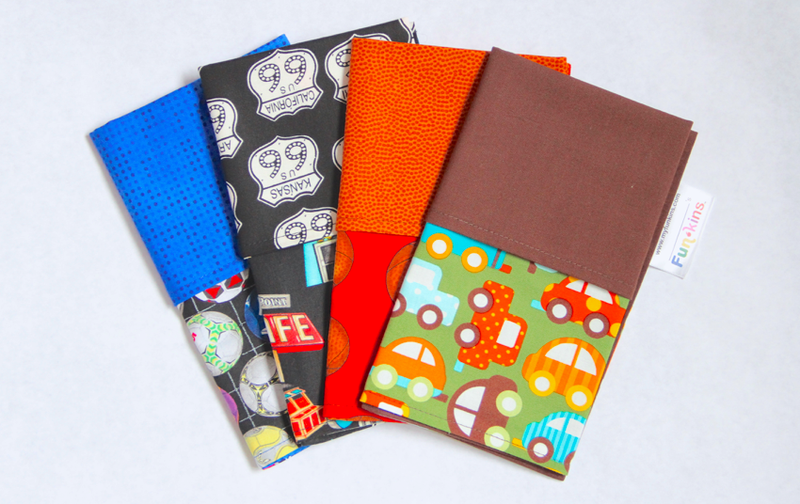 We too love involving the kids in packing their own lunches and we find it is exciting for them to choose their own cloth napkin patter as well. Thank you for your amazing contribution! 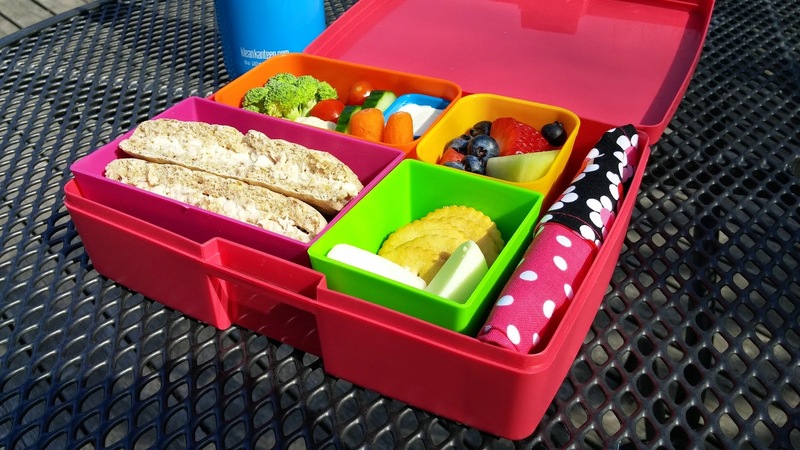 Thank you so much for inspiring parents and kids to "think outside the lunchbox" by re-evaluating the way we pack our meals. It is important now more than ever that we engrain in our children the importance of reducing our impact on the environment. And thanks as well for the Funkins samples. My kids love them! Such wonderful pix - super colour food makes it even more enjoyable to eat! I love the colorful patterns. I'm going to have to buy the cars one. It's just too cute. The car one is really cute. I'd love to get the cars one for my son for grade one this September!